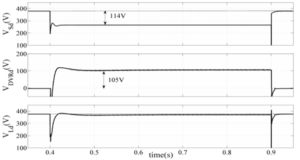 This paper presents a utilization technique for enhancing the capabilities of dynamic voltage restorers (DVRs). This study aims to enhance the abilities of DVRs to maintain acceptable voltages and last longer during compensation. 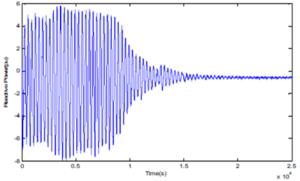 Both the magnitude and phase displacement angle of the synthesized DVR voltage are precisely adjusted to achieve lower power utilization. The real and reactive powers are calculated in real time in the tracking loop to achieve better conditions. 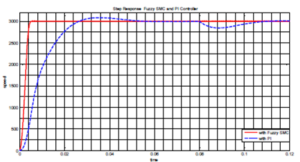 This technique results in less energy being taken out of the DC-link capacitor, resulting in smaller size requirements. 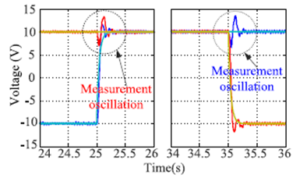 The results from both the simulation and experimental tests illustrate that the proposed technique clearly achieved superior performance. 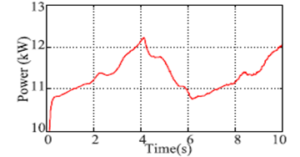 The DVR’s active action period was considerably longer, with nearly 5 times the energy left in the DC-link capacitor for further compensation compared to the traditional technique. This technical merit demonstrates that DVRs could cover a wider range of voltage sags; the practicality of this idea for better utilization is better than that of existing installed DVRs. Fig. 1. 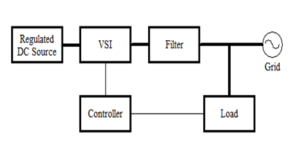 Circuit diagram model for simulation using MatLab/Simulink. Fig. 2. 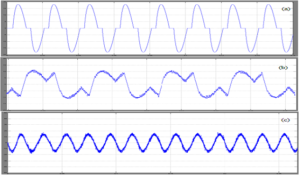 D-axis voltages at the system (VSd), DVR (VDVRd), and load (VLd). 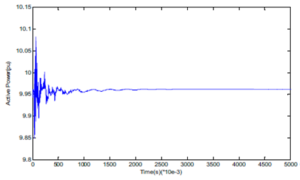 during in-phase compensation (simulation). Fig. 3. 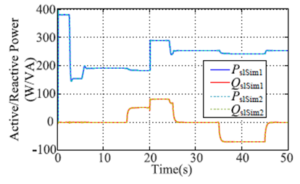 Q-axis voltages at the system (VSq), DVR (VDVRq), and load (VLq) during in-phase compensation (simulation). Fig. 4. 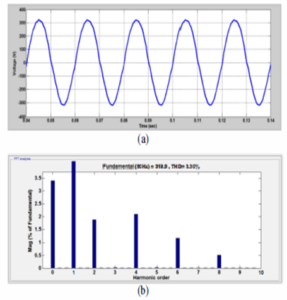 The overall three-phase voltage signals during in-phase compensation (simulation). Fig. 5. 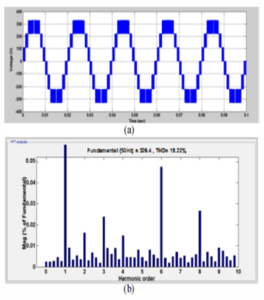 Real power at source (PS), the DVR (PDVR) and load (PL) during in-phase compensation (simulation). Fig. 6. 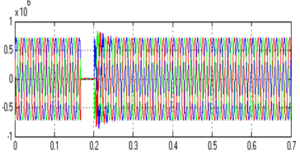 The DVR DC-side voltage (VDC) during in-phase compensation (simulation). Fig. 7. 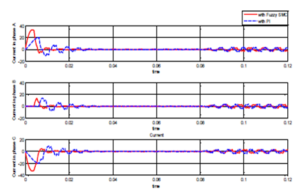 D-axis voltages at the system(VSd), DVR (VDVRd), and load (VLd) during zero-real power tracking compensation (simulation). Fig. 8. 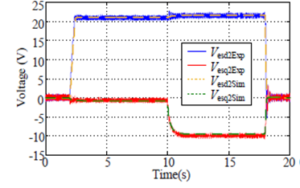 Q-axis voltages at the system (VSq), DVR (VDVRq), and load (VLq) during zero-real power tracking compensation (simulation).. Fig. 9. 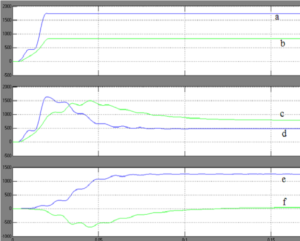 The overall three-phase voltage signals during zero-real power tracking compensation (simulation). Fig. 10. 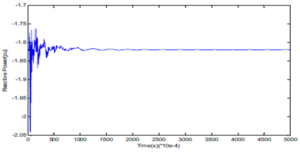 The DVR DC-side voltage (VDC) during zero-real power tracking compensation (simulation). 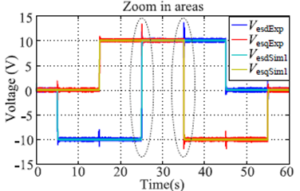 It is clear from both the simulation and experimental results illustrated in this paper that the proposed zero-real power tracking technique applied to DVR-based compensation can result in superior performance compared to the traditional in-phase technique. 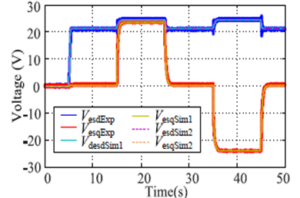 The experimental test results match those proposed using simulation, although some discrepancies due to the imperfect nature of the test circuit components were seen. With the traditional in-phase technique, the compensation was performed and depended on the real power injected to the system. Then, more of the energy stored in the DC-link capacitor was utilized quickly, reaching its limitation within a shorter period. The compensation was eventually forced to stop before the entire voltage sag period was finished. When the compensation was conducted using the proposed technique, less energy was used for the converter basic switching process. The clear advantage in terms of the voltage level at the DC-link capacitor indicates that with the proposed technique, more energy remains in the DVR (67% to 14% in the traditional in-phase technique), which guarantees the correct compensating voltage will be provided for longer periods of compensation. With this technique, none (or less) of the real power will be transferred to the system, which provides more for the DVR to cover a wider range of voltage sags, adding more flexible adaptive control to the solution of sag voltage disturbances. 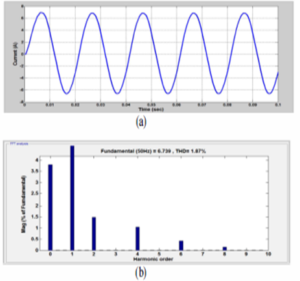 J. Roldán-Pérez, A. García-Cerrada, J. L. Zamora-Macho, P. Roncero-Sánchez, and E. Acha, “Troubleshooting a digital repetitive controller for a versatile dynamic voltage restorer,” Int. J. Elect. Power Energy Syst., vol. 57, pp. 105–115, May 2014. 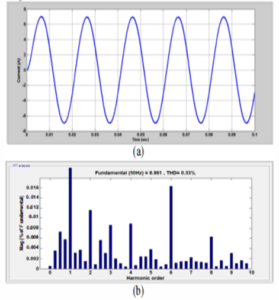 P. Kanjiya, B. Singh, A. Chandra, and K. Al-Haddad, “SRF theory revisited to control self-supported dynamic voltage restorer (DVR) for unbalanced and nonlinear loads,” IEEE Trans. Ind. Appl., vol. 49, no. 5, pp. 2330–2340, Sep. 2013. 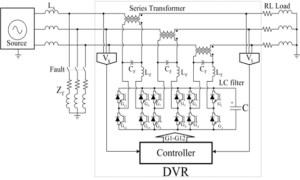 S. Naidu, and D. Fernandes, “Dynamic voltage restorer based on a four-leg voltage source converter,” IET Generation, Transmission & Distribution, vol. 3, no. 5, pp. 437–447, May 2009. 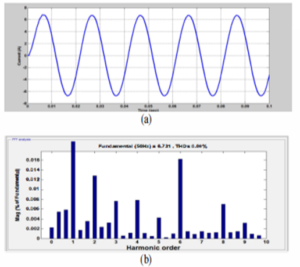 T. Jimichi, H. Fujita, and H. Akagi, “A dynamic voltage restorer equipped with a high-frequency isolated dc-dc converter,” IEEE Trans. Ind. Appl., vol. 47, no. 1, pp. 169– 175, Jan. 2011. Flexible AC transmission system (FACTS) is a technology, which is based on power electronic devices, used to enhance the existing transmission capabilities in order to make the transmission system flexible and independent operation. The FACTS technology is a promising technology to achieve complete deregulation of Power System i.e. Generation, Transmission and Distribution as complete individual units. The loading capability of transmission system can also be enhanced nearer to the thermal limits without affecting the stability. 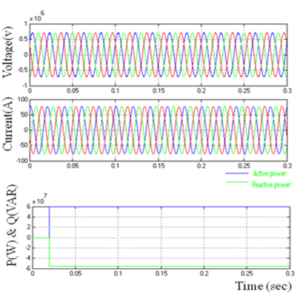 This paper presents an “online Fuzzy control scheme for SVC” and it can be concluded that the use of fuzzy controlled SVC (TCR & FC-TCR) compensating devices with the firing angle control is continuous, effective and it is a simplest way of controlling the reactive power of transmission line. 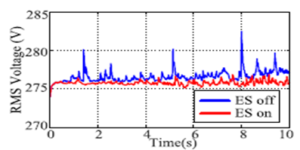 It is observed that SVC devices were able to compensate over voltages. 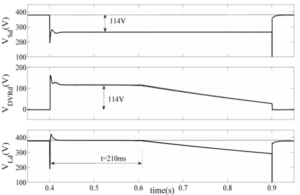 Compensating voltages are shown in Fig.15 and Fig.16. 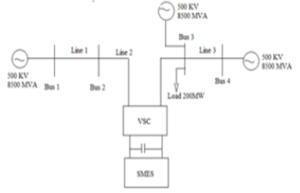 The use of fuzzy logic has facilitated the closed loop control of system, by designing a set of rules, which decides the firing angle given to SVC to attain the required voltage. 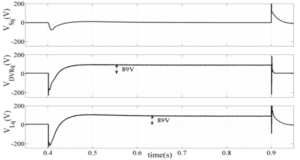 The active and reactive power compensation with SVC devices was shown in Fig.17 and Fig.18. 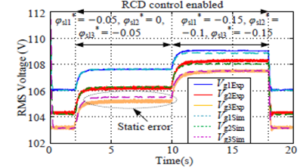 With MATLAB simulations   and actual testing it is observed that SVC (TCR & FC-TCR) provides an effective reactive power control irrespective of load variations. Bart Kosko, “Neural Networks and Fuzzy Systems A Dynamical Systems Approach to Machine Intelligence”, Prentice-Hall of India New Delhi, June 1994. Timothy J Ross, “Fuzzy Logic with Engineering Applications”, McGraw-Hill, Inc, New York, 1997. 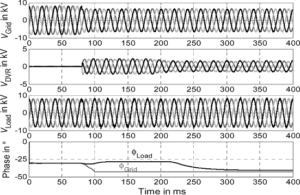 Smart loads associated with electric springs (ES) have been used because fast demand-side management for smart grid. 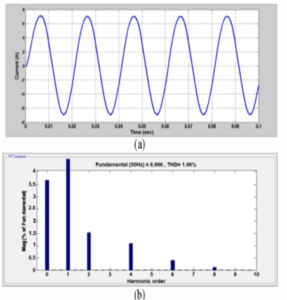 While simplified dynamic ES models have been used because power system simulation, these models do not include the dynamics of the power electronic circuits and control of the ES.This paper presents a dynamic and modular ES model that can incorporate controller design and the dynamics of the power electronic circuits. 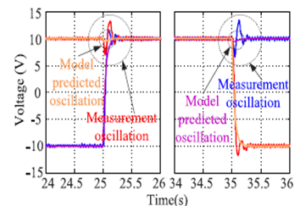 Based on experimental measurements, the order of this dynamic model has been reduced so that the model suits both circuit and system simulations. 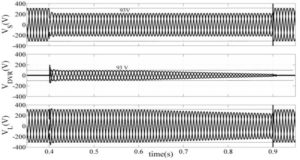 The model is demonstrated with the radial chordal decomposition controller for both voltage and frequency regulation. The modular approach allows the circuit and controller of the ES model and the load module to be combined in the d-q frame. Experimental results based on single and multiple smart loads setup are provided to verify the results obtained from the model simulation. 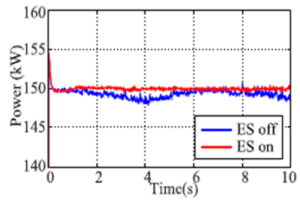 Then the ES model is incorporated into power system simulations including an IEEE 13 node power system and a three-phase balanced microgrid system. Fig. 1 System setup in Phase III. 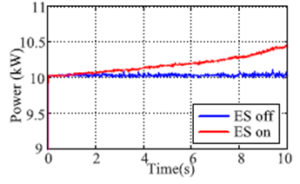 (a)Full results of experiment and the theoretical model. (b)Zoom in results of experiment and the theoretical model. 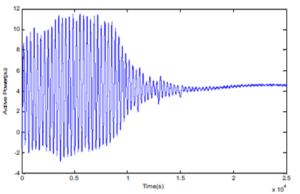 (c) Full results of experiment and the estimated model. (d) Zoom in results of experiment and the estimated model. Fig. 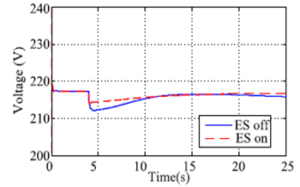 2 Experimental and simulation (theoretical and estimated models) results of ES output voltage. 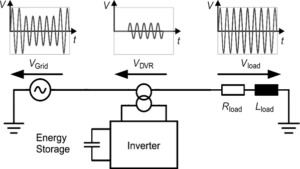 (b) Voltage output of ES (Ves). (c) Current of the Smart load (Isl). (d) P-Q power of the smart load. Fig. 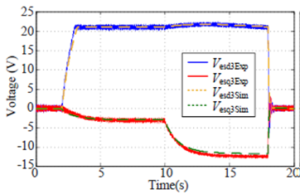 3 Experimental and simulation results on Phase II setup with a ZIP load. Fig. 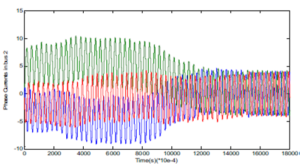 4 Simulation results on Phase II setup with a thermostatic load. 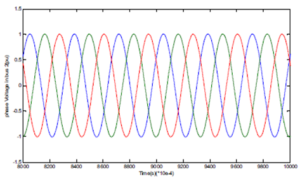 (b)Voltage output of ES 1 (Ves1). (c) Voltage output of ES 2 (Ves2). 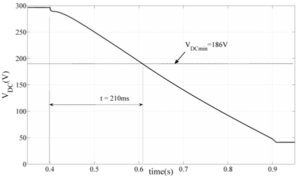 (d) Voltage output of ES 3 (Ves3). (e) P-Q power of smart load 1. (f) P-Q power of smart load 2. (g) P-Q power of smart load 3. Fig. 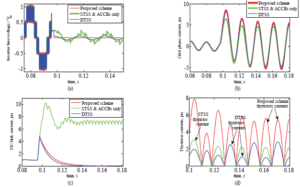 5 Experimental and simulation results on Phase III setup. (a) Power delivered by the renewable energy source. 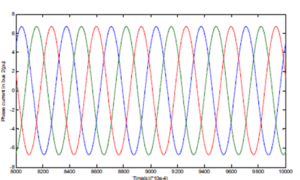 (b)Phase A voltage of node 634 (Vs). (c) Power absorbed in phase A of node 634. (d)Sum power absorbed by smart load 1,2 and 3. (e) Power absorbed by smart load 4. (f) Power absorbed by smart load 5. Fig. 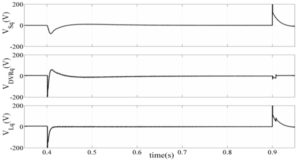 6 Simulation results on Phase IV setup. Fig. 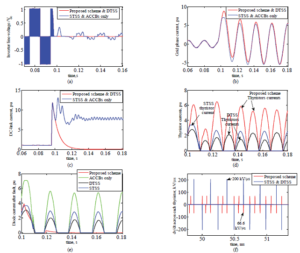 7 Simulation results on Phase V setup. 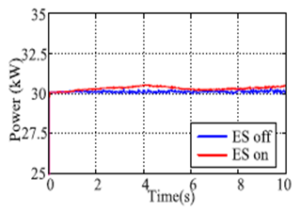 In this paper, the dynamic model of an ES is firstly analyzed as a theoretical model in state space. 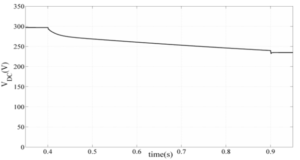 An order-reduced model is derived by estimation based on experimental measurements. A theoretical model of the order of 6 with 4 inputs has been simplified into a 2nd-order model with 2 inputs. The RCD control is adopted as the outer-controller module in the smart load. 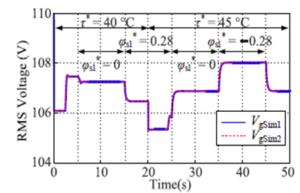 Two models of noncritical loads, namely ZIP and thermostatic load models, are analyzed to cooperate with the ES. 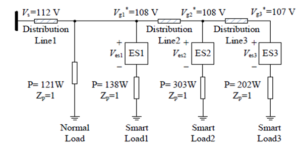 The estimated ES model (the inner model), outer controller and the load model can be modelled separated as modules and then combined to form the smart load model. 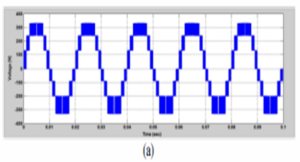 The modular approach offers the flexibility of the proposed model in outer-controller design and the noncritical load selection. The results obtained from the proposed model are compared with experimental measurements in different setups because model verification. The proposed model has been tested because voltage and frequency regulation. 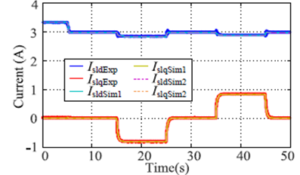 This simplified modular modeling method could pave the way because future work on modeling widely-distributed ESs in distribution networks so that various control strategies can be studied. J.M. 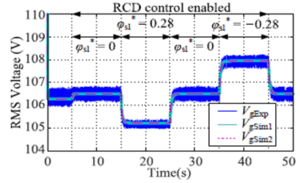 Guerrero, J.C. Vasquez, J. Matas, M. Castilla and L. Garcia de Vicuna, “Control strategy for flexible microgrid based on parallel line-interactive UPS systems”, IEEE Transaction on Industrial Electronics, vol. 56, no.3, pp. 726-735, Mar. 2009. P. Khayyer and U. Ozguner, “Decentralized control of large-scale storage-based renewable energy systems”, IEEE Transactions on Smart Grid, vol. 5, no.3, pp. 1300-1307, May 2014. Yang, Y., H. Wang, F. Blaabjerg, and T. Kerekes. 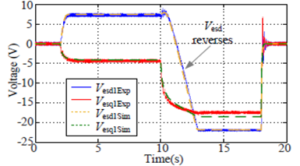 “A Hybrid Power Control Concept for PV Inverters With Reduced Thermal Loading.” IEEE Transaction on Power Electronics, vol 29, no. 12, pp. 6271– 6275, Dec. 2014. 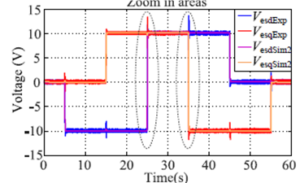 A. H. Mohsenian-Rad, V. W. S. Wong, J. Jatskevich, R. Schober, and A. Leon-Garcia, “Autonomous demand-side management based on game-theoretic energy consumption scheduling for the future smart grid,” IEEE Transaction Smart Grid, vol. 1, no. 3, pp. 320– 331, Dec. 2010. 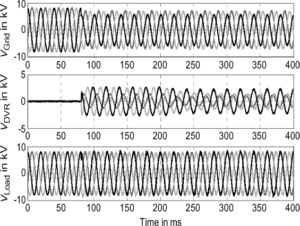 A. J. Conejo, J. M. Morales and L. Baringo, “Real-time demand response model,” IEEE Trans. Smart Grid, vol. 1, no. 3, pp. 236–242, Dec. 2010. The power system network is becoming more complex nowadays and it is very difficult to maintain the stability of the power system. 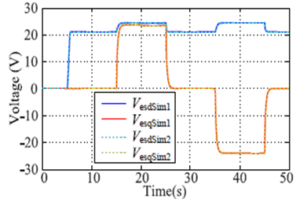 The main purpose of this paper proposes a 12-pulse based Static Synchronous Series Compensator (SSSC) with and without Superconducting Magnetic Energy Storage (SMES) for enhancing the voltage stability and power oscillation damping in multi area system. 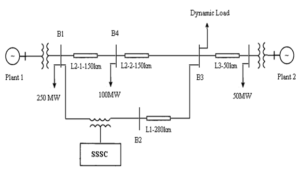 Control scheme for the chopper circuit of SMES coil is designed. 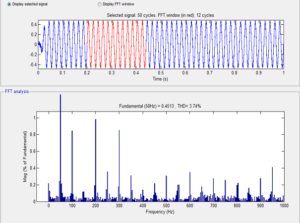 A three area system is taken as test system and the operation of SSSC with and without SMES is analysed for various transient disturbances in MATLAB / SIMULINK environment. 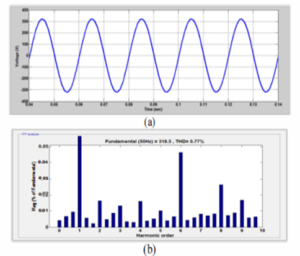 The dynamic performance of the SSSC with and without SMES for the test system are analysed with Matlab/simulink. 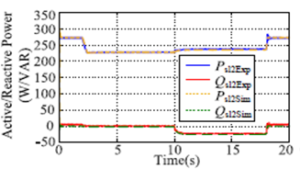 In this paper SMES with two quadrant chopper control plays an important role in real power exchange. 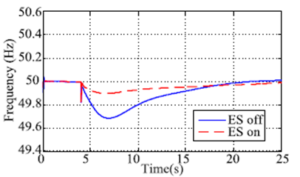 SSSC with and without has been developed to improve transient stability performance of the power system. 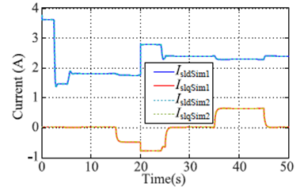 It is inferred from the results that the SSSC with SMES is very efficient in transient stability enhancement and effective in damping power oscillations and to maintain power flow through transmission lines after the disturbances. 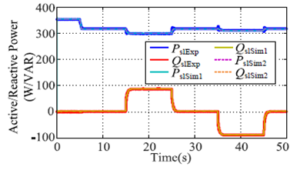 S. S. Choi, F. Jiang and G. Shrestha, “Suppression of transmission system oscillations by thyristor controlled series compensation”, IEE Proc., Vol.GTD-143, No.1, 1996, pp 7-12. Hingorani, N.G., “Role of FACTS in a Deregulated Market,” Proc. IEEE Power Engineering Society Winter Meeting, Seattle, WA, USA, 2006, pp. 1-6. Molina, M.G. 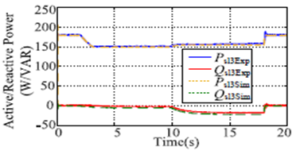 and P. E. Mercado, “Modeling of a Static Synchronous Compensator with Superconducting Magnetic Energy Storage for Applications on Frequency Control”, Proc. VIII SEPOPE, Brasilia, Brazil, 2002, pp. 17-22. Molina, M.G. and P. E. Mercado, “New Energy Storage Devices for Applications on Frequency Control of the Power System using FACTS Controllers,” Proc. X ERLAC, Iguazú, Argentina, 14.6, 2003, 1-6. Voltage-source converters (VSCs) and half bridge Modular Multilevel Converters (MMCs) are among the most popular types about HVDC converters. One about their serious drawbacks is their vulnerable nature to DC side faults, because the freewheeling diodes act because a rectifier bridge and feed the DC faults. 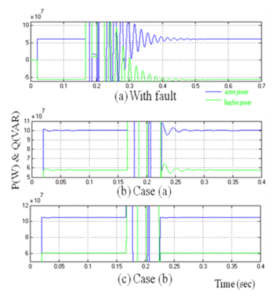 The severity of DC side faults can be limited by connecting double thyristor switches across the semiconductor devices. By turning them on, the AC current contribution into the DC side is eliminated and the DC-link current will freely decay to zero. 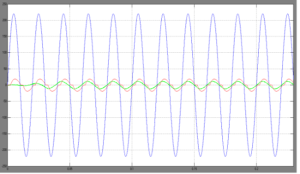 The main disadvantages about this method are: high dv/dt stresses across thyrsitors during normal conditions, and absence of bypassing therefore the freewheeling diodes during DC faults as they are sharing the fault current with thyristors. 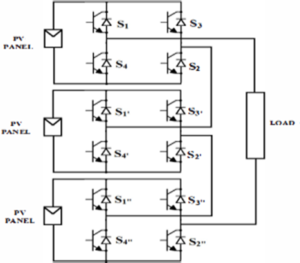 This paper proposes a new protection scheme for HVDC converters (VSCs as well as MMCs). In this scheme, the double thyristor switches are combined and connected across the AC output terminals of the HVDC converter. The proposed scheme provides advantages such because lower dv/dt stresses and lower voltage rating of thyristor switches, in addition to providing full separation between the converter semiconductor devices and AC grid during DC side faults. A simulation case study has been carried out to demonstrate the effectiveness of the proposed scheme. Fig. 2. Simulation results for VSC case: (a) converter line voltage , (b) per-phase grid current, (c) DC-link current, (d) thyristors currents for different protection schemes, (e) freewheeling diode current for different protection scheme, and (f) dv/dt stresses across each thyristor for different protection schemes. Fig. 3. Simulation results for three-level MMC (n=2): (a) converter line voltage , (b) per-phase grid current, (c) DC-link current, (d) thyristors currents for different protection schemes, (e) freewheeling diode current for different protection scheme, and (f) dv/dt stresses across each thyristor for different protection schemes. 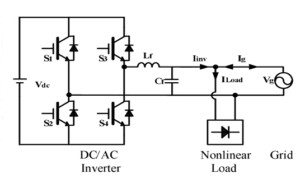 Depending on AC circuit breakers (ACCBs) to protect HVDC converters against DC side faults is a risk because the full AC fault current is passing through the freewheeling diodes until tripping the ACCBs is achieved. Hence, the need therefore complex DC breakers has emerged because the alternative. 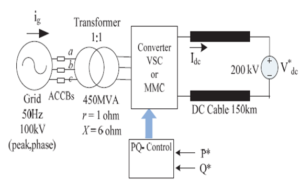 In this paper, a protection scheme therefore both VSC-HVDC and MMCHVDC converters against DC side faults is proposed. The proposed scheme provides complete separation between the AC side and the HVDC converters during DC faults which allows the DC-link current to freely decay to zero (the grid current contribution into DC fault is eliminated). A comparison between the proposed scheme and other existing schemes (STSS, and DTSS) is presented. With the same number of thyristors, the proposed scheme is able to accomplish the task of the DTSS, but with back-to-back thyristor switches exposed to lower dv/dt stresses, and possessing lower voltage (33% compared to other schemes), but higher current rating (200% compared to other schemes). Implementation of the proposed scheme is less complex because it is connected across the AC terminals of the converter not across semiconductor devices because in the single and double thyristor switch schemes. N. Flourentzou, V.G. Agelidis, G.D. Demetriades, “VSC-Based HVDC Power Transmission Systems: An Overview”, IEEE Transactions on Power Electronics ,Vol. 24 , No. 3, pp. 592 – 602, March 2009. P. Lundberg,M. 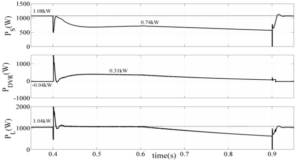 Callavik, M. Bahrman, P. Sandeberg, “High-Voltage DC Converters and Cable Technologies for Offshore Renewable Integration and DC Grid Expansions” IEEE Power and Energy Magazine, Vol. 10 , No. 6 , pp. 30-38, Nov. 2012. Lidong Zhang et al. 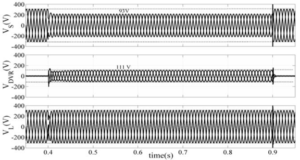 “Interconnection of two very weak ac systems by VSC-HVDC links using power-synchronization control”, IEEE Trans. on Power Systems, vol. 26 , no. 1, pp.344-355, 2011. 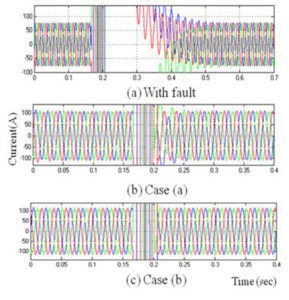 J. M. Espi, J.Castello, “Wind turbine generation system with optimized dc-link design and control”, IEEE Trans. on Ind. Electron. , vol. 60, no.3, pp. 919- 929, 2013. 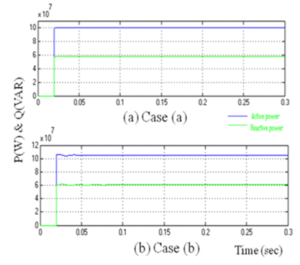 S. Cole, R. Belmans, “Transmission of bulk power”, IEEE Ind. Electron. Magazine, vol. 3, no.3, pp.19-24, Sept. 2009.